Excuse the broken piece in the above palette - when it arrived, it was smashed and sadly, I couldn't salvage it. 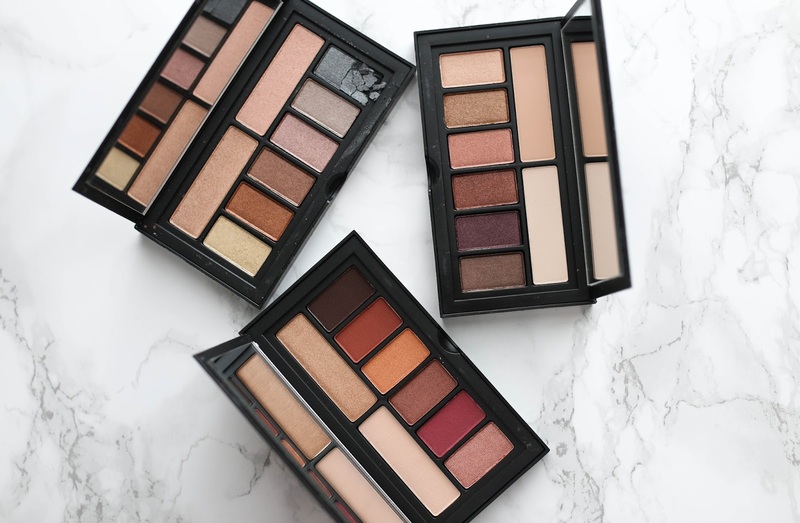 *insert sad emoji face* However, a broken corner certainly didn't stop me from testing these newly released Cover Shot eyeshadow palettes from Smashbox. There were a handful of various ones released with this collection, but I naturally went for the ones with the most neutral and wearable tones. 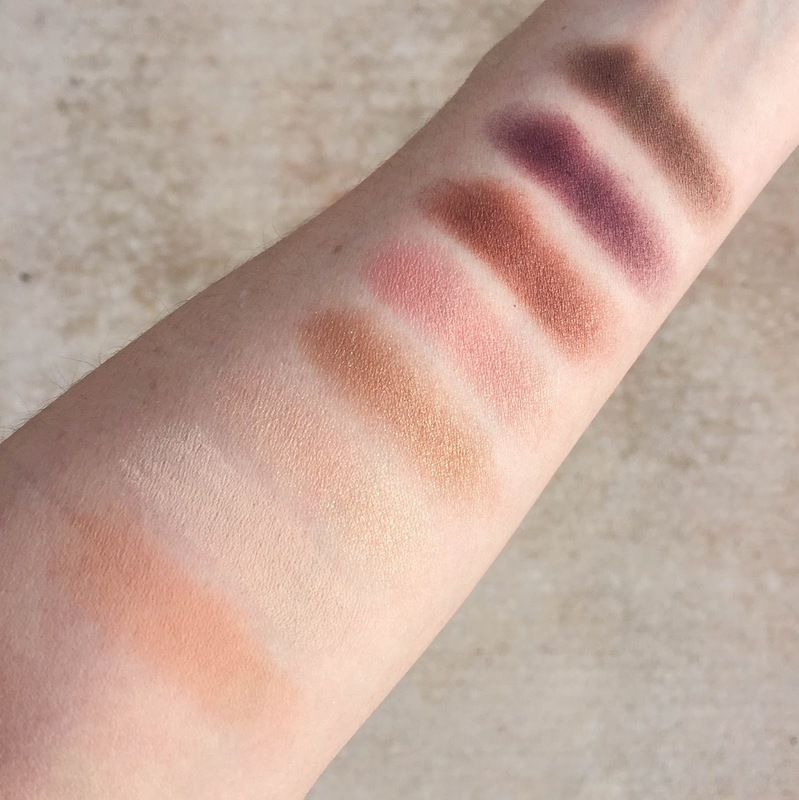 Most of the palettes were shimmer shades with a matte thrown in here and there, though as you can see from the below swatches they are a subtle shimmer. 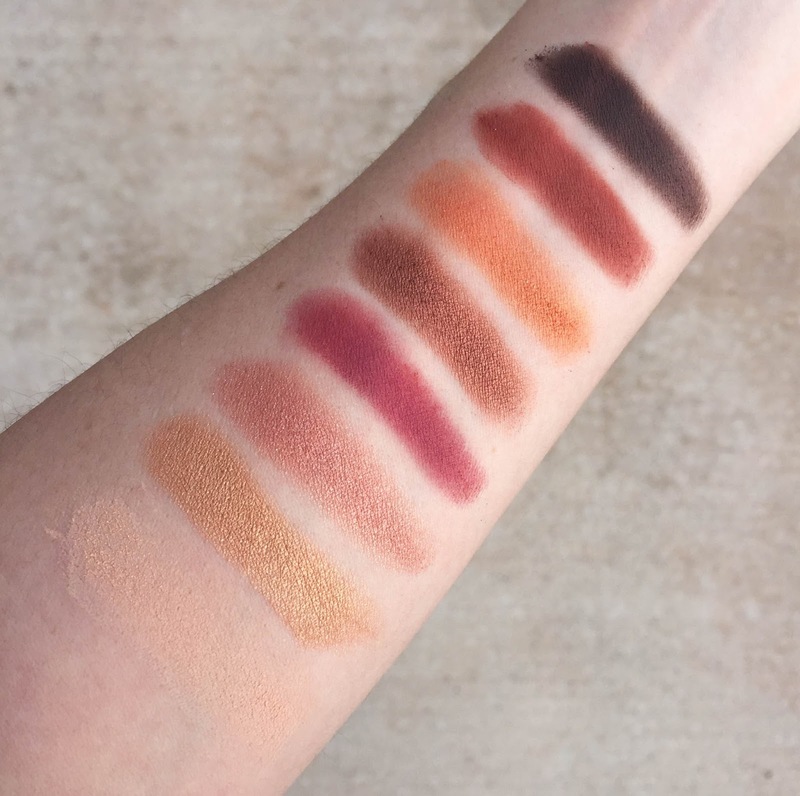 Out of all three, I found myself reaching for Ablaze the most simply because the color pay-off for that particular palette is much richer than the other two. The Metallic eye palette has many of the pale shades that I prefer to wear, but I did have to reapply a few times to build up the color. The Golden Hour Eye palette had a good selection of subtle lid colors, with the deeper shades being perfect as a liner or intense crease. They are quite compact and small so it makes them easier to tote or bring when traveling. 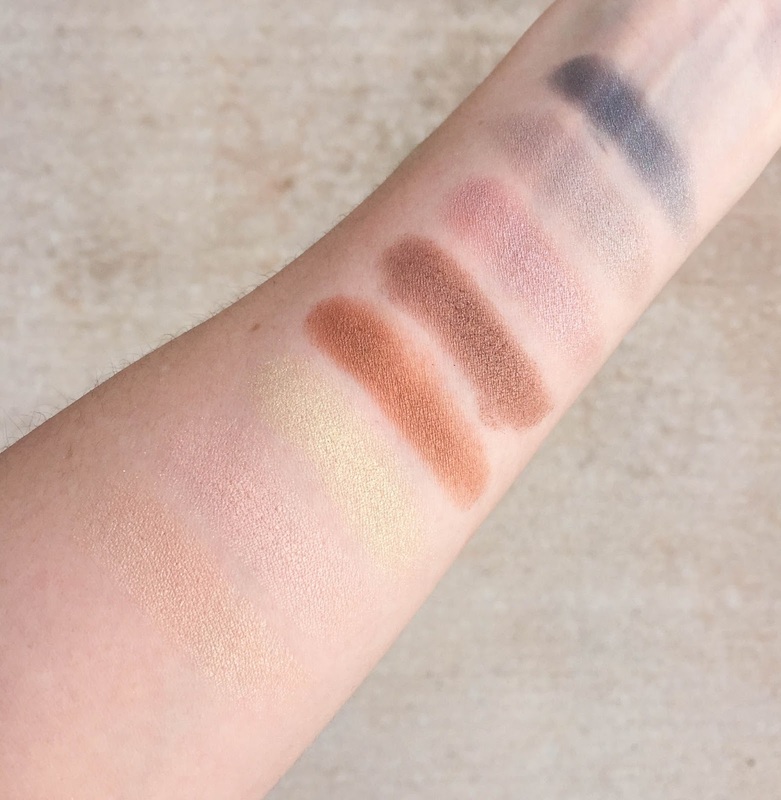 I don't have too many Smashbox shadows (in fact, I don't think I have any) so I was definitely impressed by the quality and color payoff of each. What are some of your favorite Smashbox products that you would recommend?